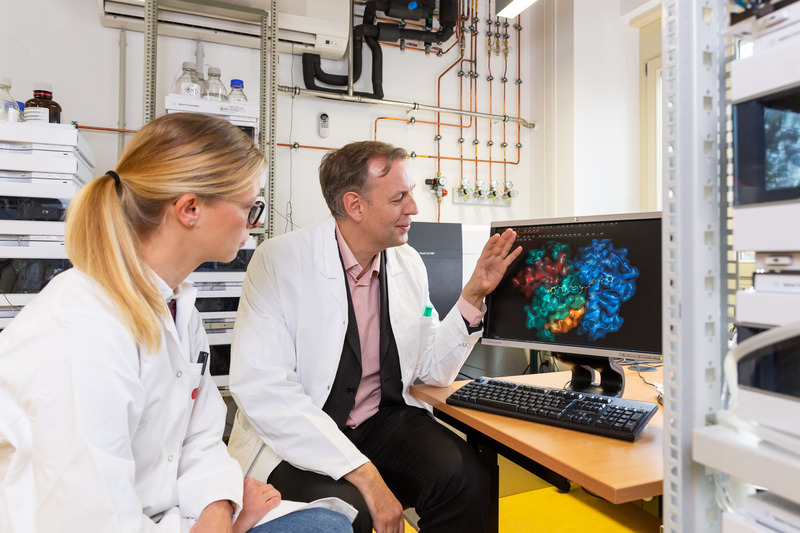 On 9 November 2018, the German Research Foundation (DFG) approved the funding of the Research Training Group "Bioactive Peptides - Innovative Aspects of Synthesis and Biosynthesis". Prof. Dr. Roderich Süssmuth from the Institute of Chemistry is the spokesperson of the Research Training Group, which will conduct research in the fields of molecular biology, biochemistry, biological chemistry and bioanalytics. He has been Rudolf-Wiechert Professor of Biological Chemistry at the TU Berlin since 2004 and heads the same-named chair. In biochemistry and in active ingredient research, natural and synthetic peptides play an important role in the development of new medication. The many and varied functions of the peptides are decisively determined by their partly complex molecular structure and spatial folding, the characterisation of which will be an essential part of the research of the Research Training Group. Further possible research questions of the group can be seen in the challenges arising from the analysis of the biosynthesis mechanisms and possible signal transduction pathways of the peptides. Peptides are mostly chain-shaped molecules consisting of at least two and up to 100 amino acids. Chains consisting of more than 100 amino acids are referred to as proteins. Peptides are therefore the "little siblings" of proteins and are very diverse. In living organisms, they function not only as biocatalysts, signalling and transport substances, but also as memory substances. In addition to the TU Berlin, the Freie Universität Berlin, the Humboldt Universität zu Berlin, the University of Potsdam and the Research Institute for Molecular Pharmacology in Berlin-Buch are also involved in the Research Training Group. The teaching staff is supplemented by contributions from internationally renowned peptide scientists from universities and industry. More information about the Research Training Group you can find here (in german).